FabFitFun. The name says it all. Since moving out on my own again, I have been taking full advantage of my mailbox. And thanks to Facebook advertising, I am learning about all kinds of things to buy and try. 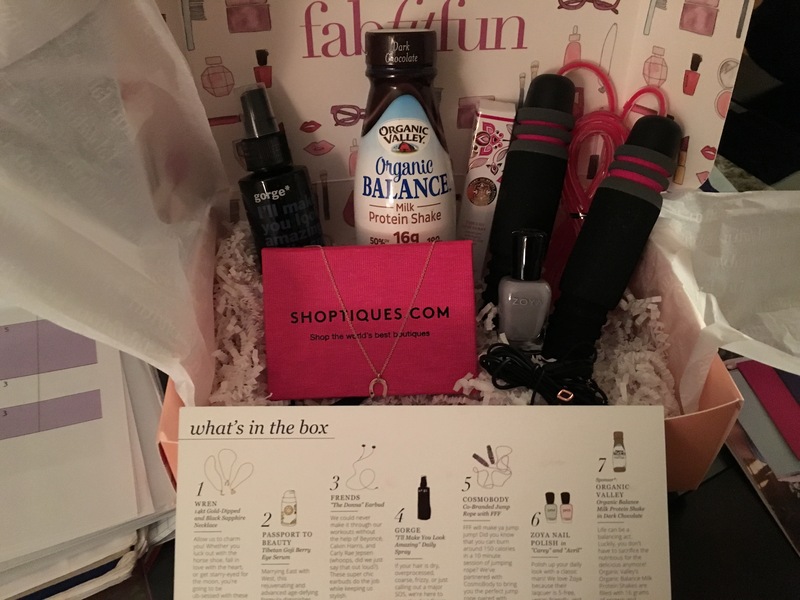 Next on the list – FabFitFun Box. This ALWAYS pops up on my newsfeed, and their 50% off special sealed the deal. Anyone else have this problem? like Conscious Box and some others, but after one or two I was done. It had been a while, so I thought I should try this new one. I’m happy I did because it was quite good. 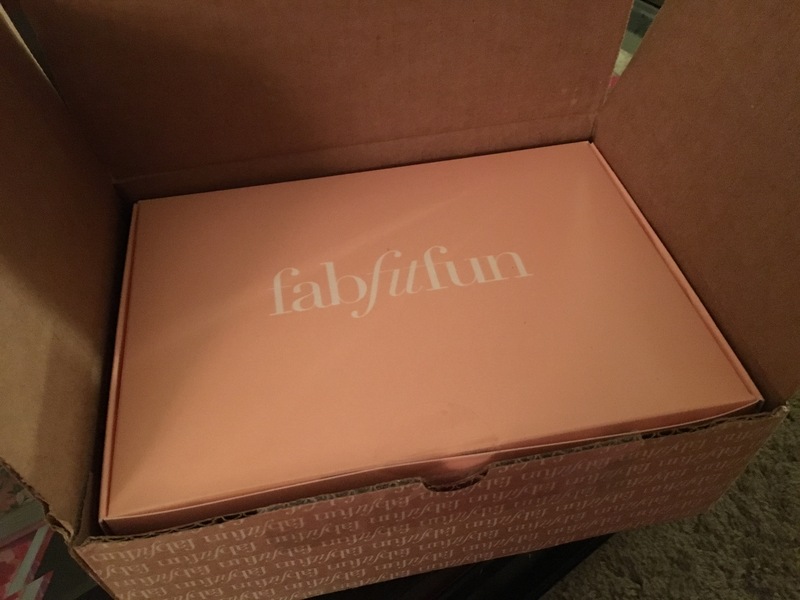 Essentially, FabFitFun is a box that sends full-size health and beauty products to subscribers once/quarter. The full-price box costs $49.99 with a supposed $250-$350 value of products in each box. Consumers can then go and buy these products on their own and additional products from the same companies. It is a way for companies to advertise to an engaged audience. I haven’t ever bought additional products, since I just like trying things and getting mail. The reason why I’ll continue to subscribe is because I actually liked the products I received and could see myself buying some of these things on my own. The Packaging: Well done. 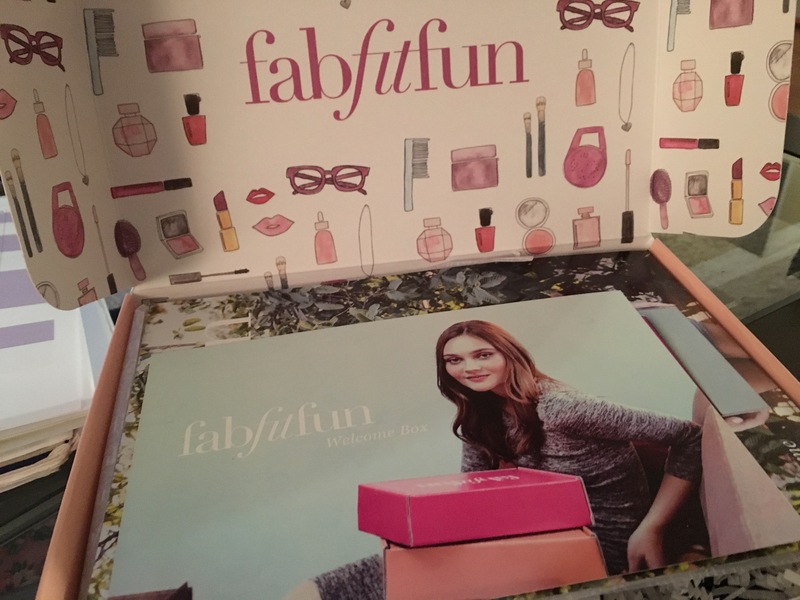 The packaging for FabFitFun was very girly and exciting. It had a few brochures which explained the company as well as each of the products found in the box. They contained websites of each product so you can learn where to buy them in the future. Everything was arranged nicely, which helps portray a higher value. It felt special, as opposed to some boxes that just provide samples and throws everything together. The Products: I have to note to all of you, that I am not a big shopper. I have had my days when I was younger, but I am not the type of person to just buy things at the store. This box was like someone just went and did that for me. Love it. Cosmobody Jump Rope – by far my favorite item since I had been wanting to buy one. Jump roping is great exercise, and easy to bring with you when you travel. Organic Valley Milk Protein Shake – I really liked this! I was (and am) a bit weirded out by it since it isn’t refrigerated, but it was a great on-the-go snack/light dinner. I think it would be really delicious after a run, but I didn’t think that far ahead. I will buy this in the future since it was so easy to take with me. Gorge Conditioning Spray – I love hair products. I love to try them and love to use them. I’ve been using this for a few days and have a good impression thus far. Sometimes conditioning sprays say you can use them and style your hair, but they make my hair look oily. This one hasn’t done that yet. I haven’t observed a huge improvement in the condition of my hair, but I’ll keep trying it. Zoya Nail Polish – another nail polish. That was my first thought, but I told myself I would try everything. I like very natural colors, but I got the blue one. Actually, I still can’t decide if it’s blue, gray, or periwinkle. I feel like it changes depending on what I am wearing. I am not a huge fan of the color, but I absolutely love the way it goes on and it dries. It’s very smooth and consistent. I’ll continue to use it, but on my toes only. I’ll have to do research later on other colors they sell. A weird thing it said in its description was that it was safe for women who are pregnant. I know nothing about babies, but I wasn’t aware nail polish was something forbidden…hmm…my friends may need to watch out. My least favorite products were the necklace and the headphones, for the same reason. I find it crazy to buy duplicate items. I don’t wear a lot of jewelry and when I do, I wear pearls. It’s simple, classic, and it goes with everything. I don’t have to worry about matching. As for headphones, my iPhone came with headphones and they work fine. Eventually, I’ll try these, but right now, not my thing. What types of boxes do you like? Any type of suggestions I should try?